Lytton John Musselman is the author of A Dictionary of Bible Plants (2011). 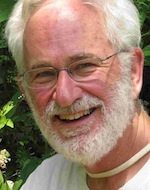 He is Mary Payne Hogan Professor of Botany in the Department of Biological Sciences at Old Dominion University and a longtime student of plants of the Bible and Quran. He is also founder and manager of the Blackwater Ecologic Preserve in southeastern Virginia and is presently part of a team working on a Flora of Iraq.